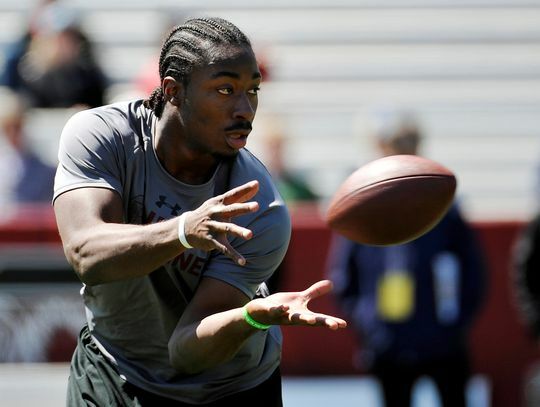 Despite injuries that took care of his ACL, LCL and PCL, the former South Carolina running back Marcus Lattimore is impressing NFL scouts at the Gamecocks’ pro day. While he won’t be quite ready to contribute when the 2013 NFL season begins, it seems some team with a little bit of patience will be willing to take a chance on the running back. Lattimore played three seasons under Steve Spurrier, going for 1609 yards from scrimmage during his freshman season. He reached the 1000 mark a second time on his second year in Columbia, but an injury cut his season short. The same story, just in a more horrific way, was told during his Junior season with the team, stopped after 835 combined yards after an injury seemed not only to end his season, but his future as an NFL prospect. But Lattimore has proved more than once just how tough and resolved he is. A few months later, and it’s hard to find someone who doesn’t seem to think that Lattimore will get picked by someone in April. He’ll be a very low pick, unlike the projections of him being in the first round not too long ago, shortly before his injury. Still, it’s only a matter of who will take the chance, ready to be patient along with his recovery, while having enough of talent ahead of him to not let his recovery bother them too much. The question is what kind of team will it be has also surfaced – someone with immediate need at running back, even as the second option? Like the Oalkand Raiders, like the Dallas Cowboys? Or someone who simply needs to give their main guy a rest from time to time- maybe the Kansas City Chiefs or the Buffalo Bills. Lattimore will find a place in the NFL, it’s just a question of at what capacity.